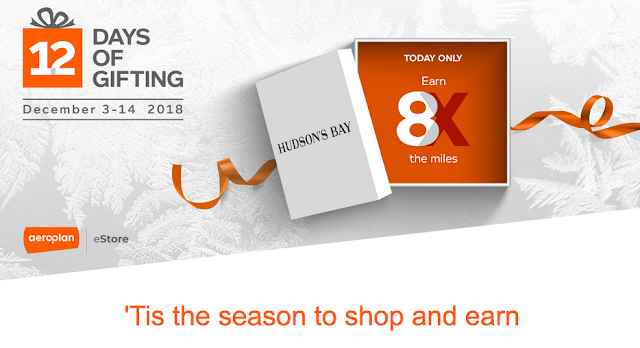 Rewards Canada: December 3 Update: Earn bonus miles with Aeroplan eStore's 12 Days of Gifting, WestJet moves St. John's-Dublin service to Halifax & more! December 3 Update: Earn bonus miles with Aeroplan eStore's 12 Days of Gifting, WestJet moves St. John's-Dublin service to Halifax & more! 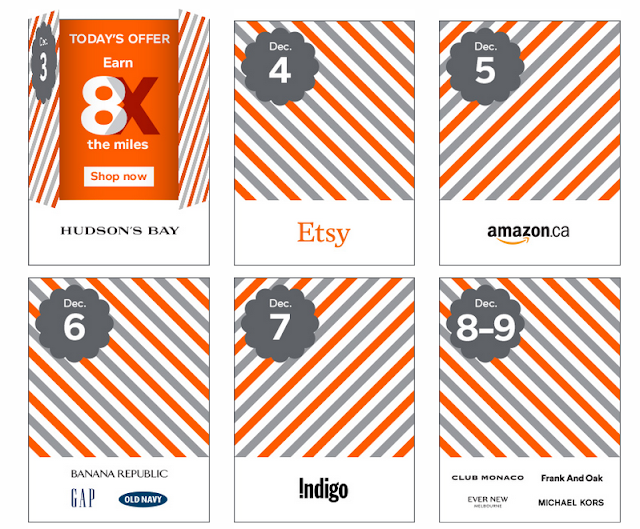 Continuing with the Holiday shopping theme Aeroplan launched their latest promotion for shopping via the eStore today. Called the 12 Day of Gifting, the promotion will see bonus miles being offered each day for different retailers. For example today it is 8x the miles for Hudson Bay purchases. Tomorrow it will be Etsy (the bonus will be revealed tomorrow) and so on. 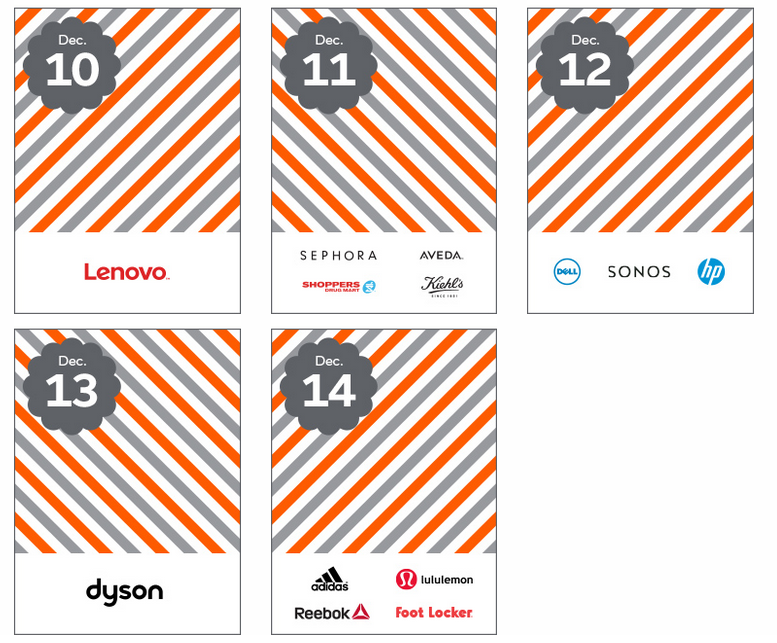 Here are the retailers that will be participating so make sure you mark it on your calendar if there is a specific one you were planning to shop at! Find out more here. As always check out our Top 6 tips for maximizing miles & points earning on your holiday shopping for more tips!